An FM transmitter app offers a simple way to connect your smartphone to your car audio system. These apps allow you to listen to music, podcasts and more while you are driving. While there are other ways to connect your Android device to your audio system, an FM transmitter app can be the most convenient choice. Using a USB cable would be an alternative, but this only allows you to play music stored in your phone, unless you have an internet connection. If you want to enjoy music on streaming services like Spotify or listen to radio podcasts, using FM transmitters is the best choice. There are devices that can be used to connect your phone to an audio system, but if your smartphone already has an FM-transmitter installed, you can simply download a special app for this purpose. Here you will find a list of the best apps that can be used as FM transmitters so that you can connect your smartphone to your car audio system and enjoy music, news and more. Keep in mind that most of them are standard radio apps that can be used along with a transmitter device. If you love sports, TuneIn is the best choice. It allows you to enjoy live sports, news, music and podcasts from all over the world. You can enjoy hockey, basketball or football games. The app also allows you to stream radio stations, podcasts, music and much more. If you want to get great sports coverage, this is the app that you need. Apart from offering NFL, NHL and NBA games, TuneIn lets you enjoy music without commercials. The playlists are curated by top DJs and special guests. You can also stay up to date with the latest news from well-known sources like Fox, CNN, BBC and more. In order to use this app, an internet connection is required. While at first sight it appear to be a standard transmitter app, it offers a good variety of features that take it to the next level. With Radio FM you can listen to the best radio stations in your area and you are also able to listen to radio stations from around the world. There is a keyword search that allows you to find exactly what you want or you can search by genre. It is an app that offers a lot of flexibility to suit different listening preferences. Car Home Ultra is a comprehensive solution that supports a great deal of features. With this car dock app by TheSpinningHead, you will be able to manage your phone easily while you are in your vehicle. It can be launched automatically once the car’s BT is detected. Managing it is easy and there are many customization options available. The media controller allows you to manage music or podcast apps without hassle. In addition, the app ensures that you keep an eye on speed, location, weather conditions and more. There is even a built-in speed alarm that will help you to avoid issues. This is a simple app that offers classic radio programs to keep you entertained and informed. Quick FM Transmitter doesn’t come with advanced features and only supports basic functionality. It catches radio waves and it works on most devices. The app offers good performance overall, as long as the airplane mode is not enabled. While it is not available in the Google Play Store, you can download the APK file. New Potato Technologies offers an app that is specifically designed to work with TuneLink hardware. If you have this device, you can use the TuneLink Auto app as a universal wireless Bluetooth to FM and Direct Connect in-car audio solution for Android. It offers and advanced interface that establishes a wireless connection between your smartphone and your car’s audio system. The app works over FM or direct connect to your AUX input. The high technology and effective performance allows you to get the most out of the TuneLink hardware. While you would need to purchase the device, if you are looking for reliability and stable performance when you have to be on the road for a long time, this could be the right solution. This FM Radio and Internet Radio tuner will allow you to listen to live radio streaming from all around the world. You can listen on your Android device and enjoy the user-friendly and appealing interface that the app offers. myTuner radio app is designed to offer the best possible experience when you are listening to internet radio or AM/FM radio. There are over 50000 radio stations from several global locations and you can follow your favorite shows and podcasts. You can choose from different categories including sports, comedy, music and news. If you listen to a song that you like on the radio, but don’t know the title, the app allows you to find out what’s playing. With Radio.net, you can enjoy access to a vast selection of radios stations, internet radios and podcasts in your location and from anywhere else in the world. There are thousands of options available for free. You can search by genre, city, country or topic and find a station that suits your interests. It is possible to save radios as favorites and the app also features an alarm clock. You can also set a sleep timer and save songs that you like as they are playing on the radio. There is also a Zapp feature for car and docking station. The app is well-organized and it supports Googlecast. iHeartRadio gives you the chance to listen to thousands of radio stations that offer music, news sports, comedy, podcasts and more. The app is very easy to use and it is available for free. 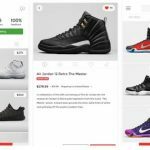 The options available include popular podcasts and recognized sports stations like ESPN Radio and Fox Sports. You can create personalized music stations based on the top artists in different genres. It is also possible to create a personalized station with your favorite songs. This highly rated app offers a great selection of radio stations of different genres that can be accessed through a convenient player. It requires internet connection, but even if your internet connection is slow, you will be able to enjoy all the stations in high quality. There are different categories to choose from including dance, electro, relax, pop and rock. In addition, you can find news and sports. This app offers a very easy way to listen to your favorite FM Radio stations, Internet Radio Online, AM Radio and Free radio stations. There are thousands of stations available and you can enjoy your favorite options or discover new options. Simple Radio combines the multiple advantages of online radio with the simplicity of old-style radio tuners. You can easily find radio stations that you want to listen to. There are several genres supported including rock, news stations and pop. You can also search by city or format. 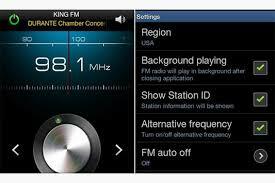 With the NextRadio app, you can enjoy local and international FM radio stations. You can listen to live, local FM Radio. If the FM receiver chip is activated on your device, you will be able to listen to local, terrestrial FM radio stations as well. This is an option that allows you to avoid using a lot of data and it also saves battery life. The app also allows you to check what’s on air thanks to the Live Guide. You can also browse radio stations by genre or frequency.